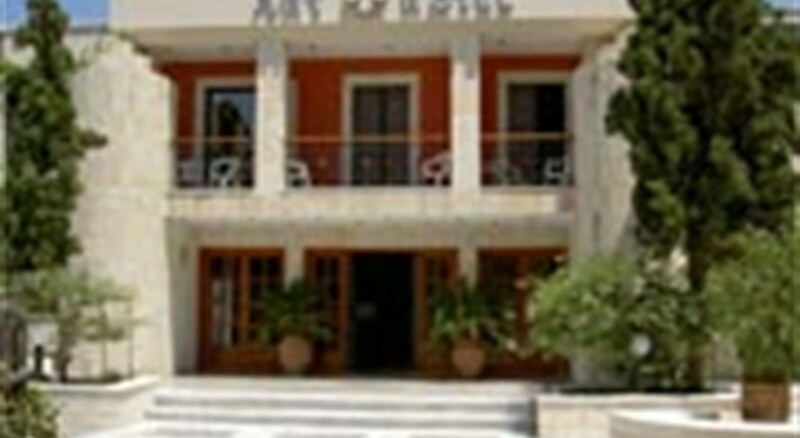 The May Hotel Rethymnon is luxury hotel located in Rethymnon town, Crete Island, Greece. The nearest beach is 200m, which is the longest beach of the island, away from the property. The hotel houses a large, beautiful outdoor swimming pool on its premises. This family friendly hotel offers 76 tastefully decorated rooms featuring modern and contemporary architecture with bright colours. 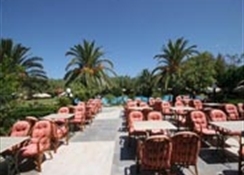 The establishment is owned and managed by a small family, and guests have appreciated the hospitality of the hotel staff. The May Hotel in Rethymnon houses a splendid restaurant, a pool bar and a lobby cocktail bar. The May Hotel Rethymnon is located 70.4km from the Chania International Airport and 77.4km away from the Heraklion International Airport. The town of Rethymnon is 4.3km from the property. The main bus station of Rethymnon is 5.4km away. The capital of the Crete island, Heraklion, is 77.3km away from the hotel. 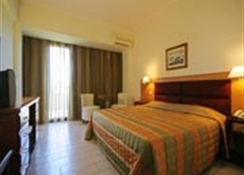 Local landmarks and major tourist attractions like the Venetian Harbour, Archaeological Museum of Rethymno, Centre of Byzantine Art, Municipal Garden, Historical and Folklore Museum, Venetian Fortress, Arkadi Monastery and Museum of Ancient Eleftherna are located within a range of 11km from the hotel property. The May Hotel Rethymnon offers 76 tastefully-decorated guestrooms featuring modern and contemporary architecture with bright and pleasant colours. 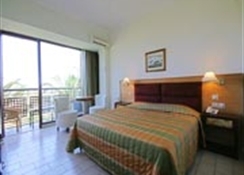 The rooms are further categorised into three types based on amenities and number of guests accommodating – Double Room, Triple Room and Family Room. The guestrooms are equipped with essential facilities and amenities like air-conditioning, free Wi-Fi, coffee and tea maker, mini-bar, telephone, radio, refrigerator, safety deposit box, satellite TV, bathtub, shower, essential toiletries, hairdryer, etc. May Hotel Rethymnon houses a restaurant that serves a wide range of delicacies from local Greek and multiple international cuisines. The hotel also houses a poolside bar – tavern and a lobby cocktail bar that serve local wines, beers, signature cocktails, alcoholic and non-alcoholic beverages. Guests can also try local restaurants, bars and traditional taverns at the beach and the town of Rethymnon, which is just 4.3km away from the hotel. May Hotel Rethymnon houses a beautiful, large outdoor swimming pool on its grounds where guests can indulge in mild pool games and refreshing dips. The hotel also has a poolside bar which allows guests to relish cocktails by the beautiful pool. The hotel also has facilities for tennis, darts, billiards, a playground and library. 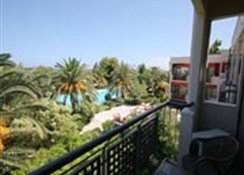 Guests can try water sports or enjoy leisurely sunbathing at the nearest beach which is just 200m from the hotel. The proximity of the property to the beach and the town of Rethymnon makes it an ideal destination for vacationers looking to spend a great beach holiday, exploring the native Greek culture.